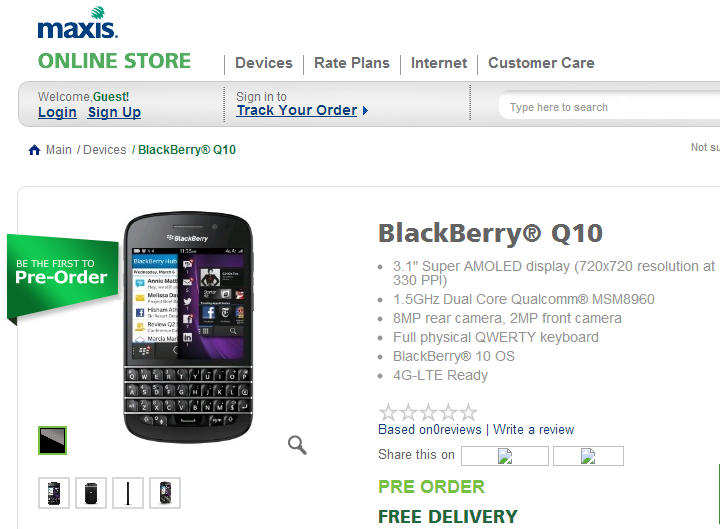 Only less than 2 days to go before the BlackBerry Q10 officially arrives but it looks like you can already preorder it with Maxis. Maxis is offering the latest BlackBerry device from as low as RM1,178 when you sign up for a BBMore plan – BBMore55, BBMore88, or BBMore148, from as low as RM55/month. Unfortunately though, the offer is only available for new sign ups so if you’re an existing Maxis subscriber and wish to keep your number, you will need to wait till 15 May 2013. Find out more about the BlackBerry Q10 on our previous post or visit Maxis for more information. Acer To Launch Aspire P3 Convertible Ultrabook In Malaysia On 22 May?